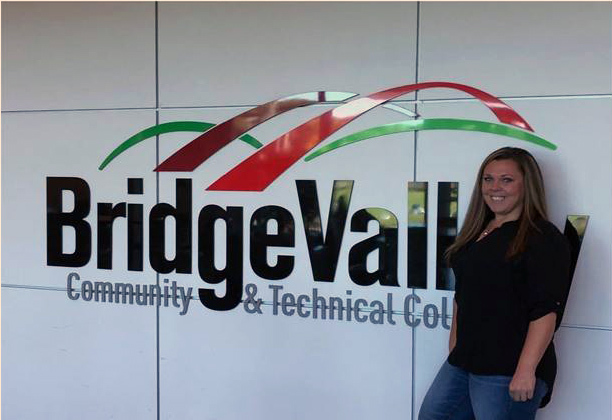 Chelsey Hamilton is another example of a BridgeValley success story. She lives in St. Albans, WV, a single mother of two teenage boys Andrew and Alijah, and majoring in the AAS Nursing program and maintaining a 3.10 cumulative GPA. Chelsey represents BridgeValley as a Student Ambassador and a work-study student in the Admissions Office on the South Charleston campus. Chelsey has managed to excel as a BridgeValley student and continuously exhibiting a "can do' attitude, She is always willing to lend a helping hand when time arrises and has no problem with staying past school hours to assist with campus events and activities. Chelsey serves as a leader among her peers and epitomizes the qualities of a well-rounded BridgeValley student. Upon graduating, Chelsey's ambition is to become a registered nurse in the trauma field.